The 2018 MERAC Prizes for the Best Doctoral Thesis are awarded in Theoretical Astrophysics to Dr Sandrine Codis (IAP, France) for the study of the imprint of the large-scale structure of the Universe on galaxy formation and cosmology. Sandrine Codis graduated from the Ecole Normale Supérieure (Paris) in Mathematics and Theoretical Physics. She obtained her PhD at the Institut d'Astrophysique de Paris (IAP) from September 2011 to September 2015. She then became a CITA post-doctoral fellow in Toronto. She is now a CNRS permanent researcher at IAP, France. 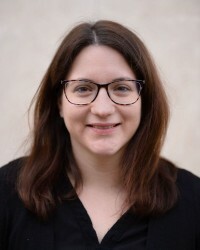 Sandrine Codis works on the theoretical modelling of the large-scale structure of the Universe and is particularly interested in cosmology, weak lensing, cosmic web and galaxy formation. She is also a member of the Euclid consortium, an ESA's space mission dedicated to mapping Dark Matter in the Universe and characterising the equation of state of the Dark Energy, potentially responsible for the acceleration of the expansion of the Universe. Sandrine Codis' PhD thesis focused on the theoretical understanding and modelling of the large-cale structure of the Universe. She was particularly interested in addressing some of the challenges that the field of large-scale structure studies needs to overcome to extract the marrow of the gigantic precision datasets that will be produced by future galaxy surveys like ESA?s cornerstone Euclid mission and LSST. She successfully developed innovative tools to probe (from first principles) the non-linear regime of structure formation and tackle systematic effects such as redshift space distortion and intrinsic alignment of galaxies which compromise high precision large-scale structure measurements. For that purpose, she developed new mathematical models and was involved in the post-processing and scientific analysis of massive N-body and hydrodynamical simulations. Her publications are already references in the field and span a wide range of topics from cosmology to galaxy formation. The quality of her thesis was recently honoured as the best PhD in astronomy by the Société Française d'Astronomie et d'Astrophysique. The PhD thesis of Sandrine Codis was conducted at the Institut d'Astrophysique de Paris (IAP), with a degree delivered by the Université Pierre et Marie Curie - Paris VI, under the supervision of Christophe Pichon (IAP) and Dmitri Pogosyan (University of Alberta).